Fitting Material Type 316L SS. 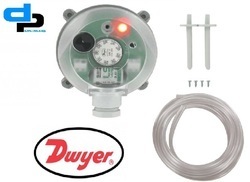 A-481: DWYER Installer kit,(includes 2 static pressure tips and PVC tubing). 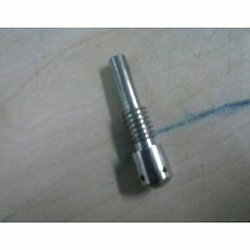 We are offering Magnehelic Gauge Nozzles to our client. Adjustable differential pressure switch, range .08-1.20" w.c., with M20 connection. 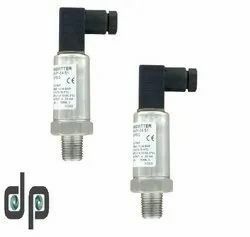 Adjustable differential pressure switch, set point range 0.80 to 4.00" w.c., M20 connection. 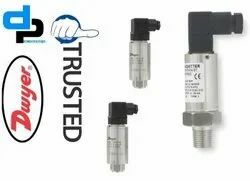 Adjustable differential pressure switch, set point range 2.00 to 10.00" w.c., M20 connection. 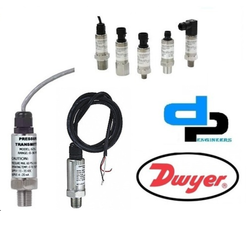 Adjustable differential pressure switch, set point range 4.00 to 20.00" w.c., M20 connection. 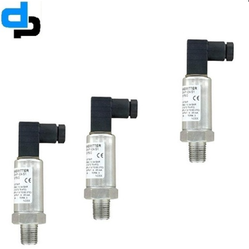 Adjustable differential pressure switch, set point range 0.08 to 1.20" w.c., M20 connection. 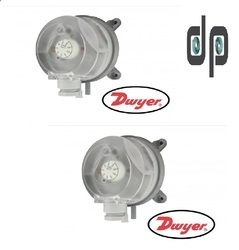 Dwyer BDPA-03-2-N Adjustable Differential Pressure SwitchPRODUCT DESCRIPTIONDwyer Instruments BDPA-03-2-N, Adjustable differential pressure alarm, range .20-2.00 w.c., M20 connection. 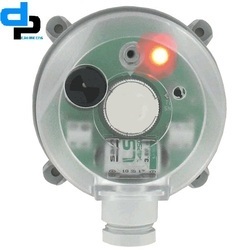 Adjustable differential pressure alarm, range .20-2.00 w.c., M20 connection. 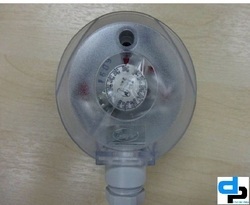 Wetted Materials: Diaphragm: Silicone; Housing: Switch Body: PA 6.6 and POM; Cover: Polystyrene. pressure Limits: 40 w.c. (10 kPa). Alarm Indicationrm. : Red LED and audible alarm. Alarm Level: Approximately 90db at 4 (10 cm). Power Requirements: 16 to 30 VDC, 18 to 30 VACor 3.6 V LS14250 lithium metal battery, installed functional, user replaceable. Battery acts as back-up if power is lost. Battery Life: Approximately 1.5 years with 3.6 V/1.2 Ah. Electrical Connections: Screw terminals. 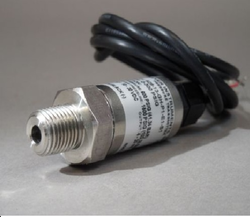 M20x1.5 with cable strain relief or optional 1/2 NPT connection. process Connections: 5/16 (7.94 mm) outside diameter tubing, 1/4 (6.0 mm) inside diameter tubing. Mounting Orientation: Vertically, with pressure connections pointing downwards. Weight: 6.1 oz (173 g). 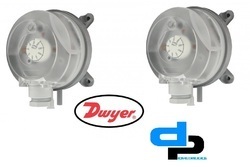 Series BDPA Adjustable Differential Pressure Alarm .12-1.60" w.c.
Series BDPA Adjustable Differential Pressure Alarm .80-4.00" w.c.
Dwyer Instruments BDPA-07-2-N, Adjustable differential pressure alarm, range 4.00-2000 w.c., M20 connection. 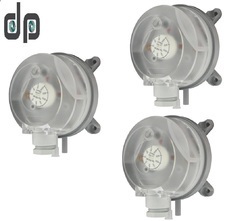 Adjustable differential pressure alarm, range 4.00-2000 w.c., M20 connection. 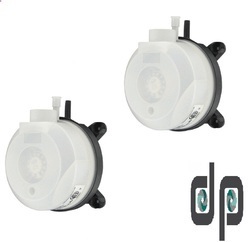 Series BDPA Adjustable Differential Pressure Alarm .08-1.20" w.c.
Our firm offers a high-quality range of Dwyer Differential Pressure Switch. HVAC Differential Pressure Switch with Dual scale filed adjustable Set Point Knob. 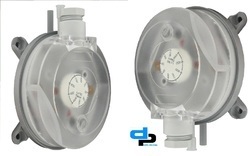 The compact size, adjustment knob and low cost makes ADPS/EDPS the perfect choice for HVAC applications. 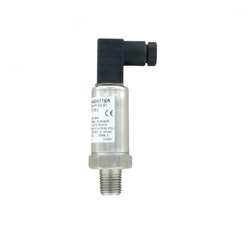 Adjustable differential pressure switch, range 4.00-20.00" w.c., with M20 connection. 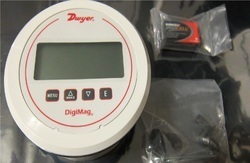 Dwyer USA DM-1109 DigiMag Digital Pressure Gage With Range of 0 to 15 in w.c. 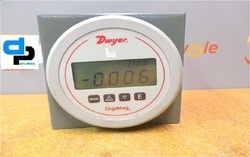 The Dwyer DM-1109 Digi Mag Digital Pressure Gage has a range from 0-15″ w.c. and with a resolution of 0.010 w.c. 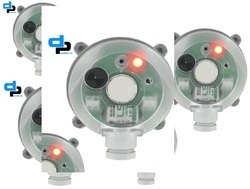 The Digi Mag® Series DM-1000 Digital Differential Pressure and Flow Gages” widows: 2;” background-position: initial initial; background-repeat: initial initial;monitor the pressure of air and compatible gases just as its famous analog predecessor the Magnehelic® Differential Pressure Gage. All models are factory calibrated to specific ranges. The 4-digit LCD can display readings in common English and metric units so conversions are not necessary. The simplified four button operation reduces set up time and simplifies calibration with its digital push button zero and span. The Series DM-1000 Digi Mag® Digital Differential Pressure and Air Flow Gages possess a full-scale accuracy of 1% on ranges down to 2 in w.c. and 2% accuracy down to the very low range of 1 inch to 0.25 in w.c. Digi Mag® Digital Differential Pressure Gages offer power versatility by working with 9-24 VDC line power or simply 9V battery power. If using line power and connecting the 9V battery, the battery will act as a back-up if line power is lost or interrupted. 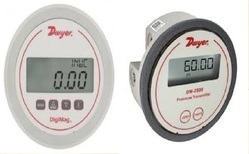 The Dwyer DM-1111 Digi Mag Digital Pressure Gage has a range from 0-50″ w.c. and with a resolution of 0.020 w.c. 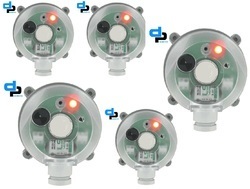 The Digi Mag® Series DM-1000 Digital Differential Pressure and Flow Gages monitor the pressure of air and compatible gases just as its famous analog predecessor the Magnehelic® Differential Pressure Gage. All models are factory calibrated to specific ranges. The 4-digit LCD can display readings in common English and metric units so conversions are not necessary. The simplified four button operation reduces set up time and simplifies calibration with its digital push button zero and span. 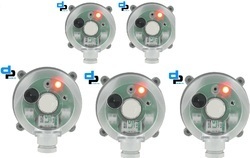 The Digi Mag® Digital Gages are more versatile than analog gages with their ability to be field-programmed to select pressure, air velocity or flow operation depending on model. The DigiMag® Digital Gages have an added feature for filter applications where a set point can be input where the display will blink when the filter is dirty, alerting the user that a maintenance action needs to occur. The Series DM-1000 Digi Mag® Digital Differential Pressure and Air Flow Gages possess a full-scale accuracy of 1% on ranges down to 2 in w.c. and 2% accuracy down to the very low range of 1 inch to 0.25 in w.c. DigiMag® Digital Differential Pressure Gages offer power versatility by working with 9-24 VDC line power or simply 9V battery power. If using line power and connecting the 9V battery, the battery will act as a back-up if line power is lost or interrupted. The Dwyer DM-1112 Digi Mag Digital Pressure Gage has a range from 0-100″ w.c. and with a resolution of 0.100 w.c. The Digi Mag® Digital Gages are more versatile than analog gages with their ability to be field-programmed to select pressure, air velocity or flow operation depending on model. The Digi Mag® Digital Gages have an added feature for filter applications where a set point can be input where the display will blink when the filter is dirty, alerting the user that a maintenance action needs to occur. 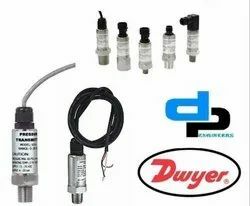 Looking for DWYER INSTRUMENTS Pressure Switch Wholesale India ?